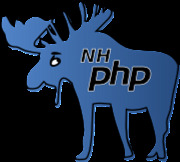 New Hampshire PHP is a group for PHP developers and engineers to network and learn from each other. Although PHP is the thread that binds us. We plan to be more than just PHP. Talks on general development and project management are welcome as well. Once you join you are welcome to suggest any topics that you would like to hear about. And don't forget to tell your friends and colleagues. The more member we have the more the community will get out of it.